I love gardening, I love plants, put in me in a garden nursery and I’m as happy as a pig in muck. We all have our dreams. Mine is winning the lottery and buying my very own nursery. Nothing big, just a little nook with my name above the door. On weekends and my days off, I’m always up early to visit our fantastic local nursery down the road. It’s like an addiction, I need my pollen fix. I need to see the colours, smell the fragrances, feel the textures, and see what’s new since the last time I was in. Nurseries are a wonderful playground for both the young and old. They give you the chance to daydream, make wish lists and have fun as well as the opportunity to learn. The big gun nurseries, which I regularly use, have a strong online presence which can make shopping quick and easy. The choice and quality is always good, and you’re buying from people who know their stuff. These companies can often be found on Instagram or Twitter, sharing helpful hints and enticing snaps to whet your appetite. Nevertheless, there are unsung heroes in this blooming business who can easily be overlooked; the independent sellers. Individuals with the vision, courage and drive to do what I can only dream about. Eager for your business, these one-person nurseries aren’t always the easiest to find, hidden, as they often are, in the shadow of the bigger companies. It’s not that we don’t trust them, we don’t know them. And as funny creatures, we consumers tend to opt for what we know even though it might not necessarily be the best. But I say, give these little guys and gals a chance, you won’t be disappointed. Last year, I decided I wanted to introduce into my garden some Echinacea purpurea ‘White Swan’. I knew exactly where it would go and how it would look glorious bathing in the late summer evening sun. But like so many things, it got forgotten. Then about a month ago, I logged onto Ebay to look for some ‘White Swan’ plants. I often use Ebay, searching for one-offs and buying from individual garden sellers as I feel it’s important to support the smaller nurseries. 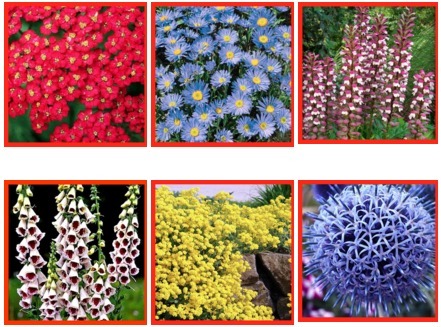 Their website is straightforward, with a wonderful plant catalogue, blog, garden advice and question page. Anna may not have the glossy brochures or an order hotline of the big companies, but her knowledge, commitment and passion for her business scream from the website. Hers is a company with a personal touch. My order arrived neatly packaged in a large, sturdy box. The plants were perfectly wrapped and held securely; you couldn’t fault the packaging. As for the plants themselves, they couldn’t have looked healthier. Enclosed were leaflets about the nursery, how to look after the plants and advice on the recent frost and the potential damage it could do to your new plants; a wealth of free knowledge at no extra cost. But the icing on the cake was a personal note from Anna who explained that due to a family emergency, there had been a delay with her processing some of the orders and she wanted to apologise. I found this so touching, she didn’t need to apologise to me! This kind of commitment to the customer is a rarity. Whether exporting roses abroad or sending a tray of basil seedlings to Mrs Bishop on the green, the nursery business is big business, but there’s enough room on the lawn for everyone to play. I urge you to branch out and try the smaller nurseries. 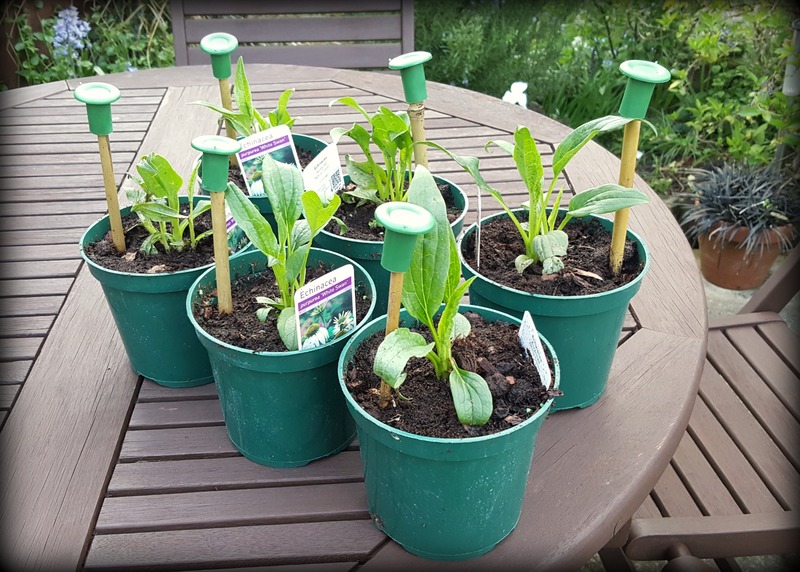 Jo-Anna Cottage Plants have a wonderful cottage plant range, you really feel your business matters, and Anna is always on hand to help. To all the garden nurseries, big and small, thank you for continuing to feed my addiction. I salute you! I agree with you that I prefer the locally owned small business owners than large chain stores. We always go to them first. Unfortunately the prices can be too high or they can’t order the plant that I want from their suppliers. None the less we always try them first.